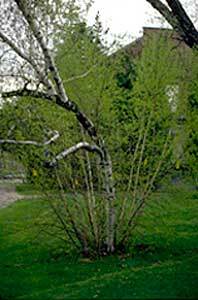 Gray birch (Betula populifolia ) and the native paper birch (B. papyrifera ) are very susceptible ; this pest is much less common to black, yellow, European and river birches (Johnson and Lyon). The tiny larvae of this leaf mining sawfly can incur complete defoliation on the host plant. Repeated infestations, in consecutive years, can weaken the host to the point where it is invaded by secondary pests such as the bronze birch borer. In Massachusetts the adults appear in May, and their appearance is closely timed to the emergence of new foliage on the host plant. Adult females require tender, newly expanding foliage within which to lay their eggs. The eggs quickly hatch and mining begins, which initially appears as small yellow spots on the foliage. Larval feeding occurs for about 4 weeks, whereupon, they chew a hole through the bottom of the leaf and drop to the soil. 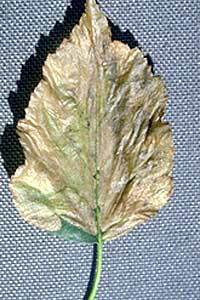 One leaf may support a dozen or more larvae and be completely browned from their feeding. One moderate-sized landscape tree may support tens of thousands of larvae in the first generation. Most of the larvae will stay in the soil until the following spring but a limited number (less than 30%) will pupate and emerge about a month later as the second generation. There is even a third generation in southern New England but it is smaller still. The first generation is by far the most important; the second and third rarely, if ever, warrant controls. 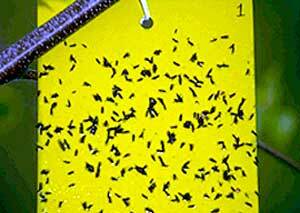 The placement of yellow sticky cards in the host tree prior to adult emergence is an extremely effective method for monitoring the adult emergence time. Otherwise, visually inspecting the foliage for the active, tiny, black adults will be required. Managing the adults is important in breaking the cycle of infestation. 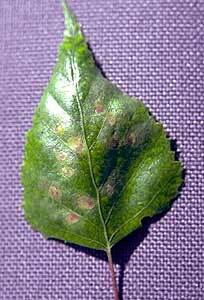 Once the larvae are in the foliage, management becomes much more difficult. 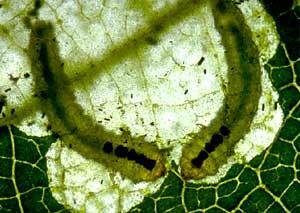 When the larvae have just become active within the foliage, certain foliar systemic pesticides may be effective. 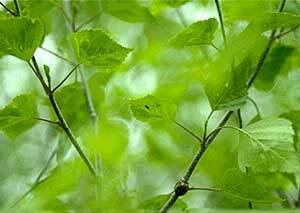 Otherwise, a whole-tree systemic insecticide may be necessary. Removal of adventitious growth, such as root suckers and water sprouts can reduce the number of ovipositional sites for the second and third generations, in particular. This growth is more succulent and may support larger than normal populations of this pest. The GDD for the first generation of adults is 100 - 200. The second generation appears from 530-700 GDD.